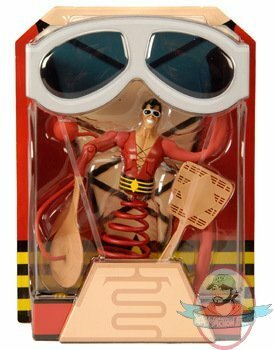 Plastic Man at long last joins the DCUC collection. To welcome him to SDCC he comes decked out with accessories galore including interchangeable bendy hands, fly swatter and bouncy ball arms as well as a bendy neck and spring legs! This is for the non sdcc version and comes with no suitcase.